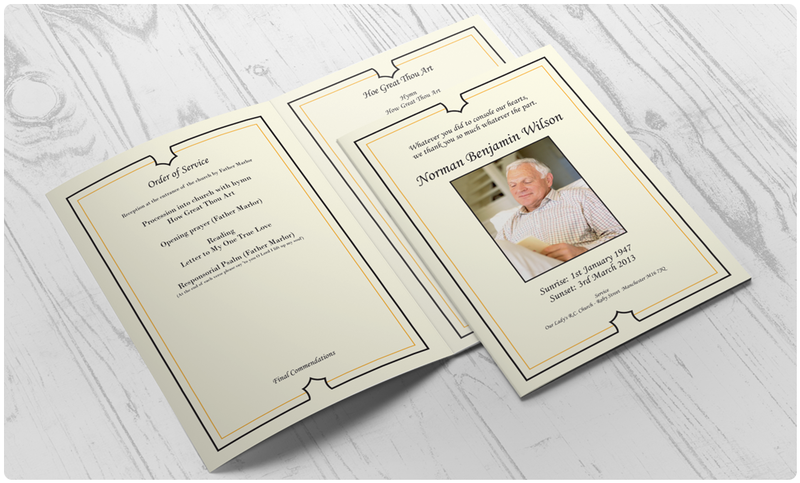 Our Order of Service booklets are printed on to white 350gsm Silk card with the inner pages being on 120gsm white wove quality stock. They come creased and stitch or for the professional touch we glue instead of using staples (glue at extra cost) Lead time is 24 – 48 hours from print ready artwork. Please note prices are for print only from artwork supplied in as a print ready pdf file. if you require artwork please see our artwork page or call 01788 543700. Please note files can be uploaded on the checkout page.